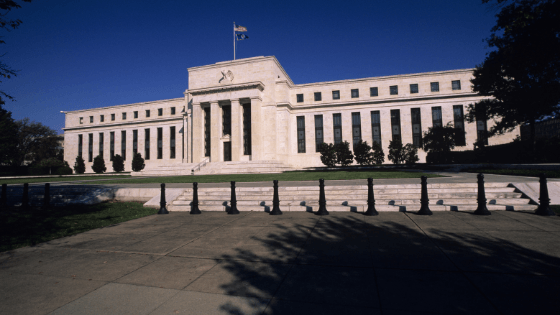 Fed Minutes-What you need to know and how to trade them | TRADEPRO. Home/economy, Futures, Money Management, Technical Analysis, Trading Strategies/Federal Reserve Meeting Minutes-How to trade them, everything explained. The Federal Reserve Meeting Minutes is a scheduled event in which the Federal Reserve Board and Federal Open Market Committee release a summary of economic projections for the United States along with expected actions they are planning to take based on projections. The Meeting Minutes highlight the financial conditions of the United States and economic conditions based on data accumulated. The meeting encompasses the current and futures stance on the monetary policy said simply. The minutes were a quarterly event before 2019, starting in 2019 they shifted to a monthly meeting approach. However, the quarterly reports continue to be the meeting minutes in which the Fed decides to raise, cut or leave rates as they are. Jerome Powell, the chair of the Federal Reserve is set to deliver the meeting minutes and take on the press conference. In the last quarterly meeting, December 2018, rates were raised by 25 basis points as expected which presented traders with ample opportunity. In the following article, we will go through a trading strategy for the FOMC minutes. 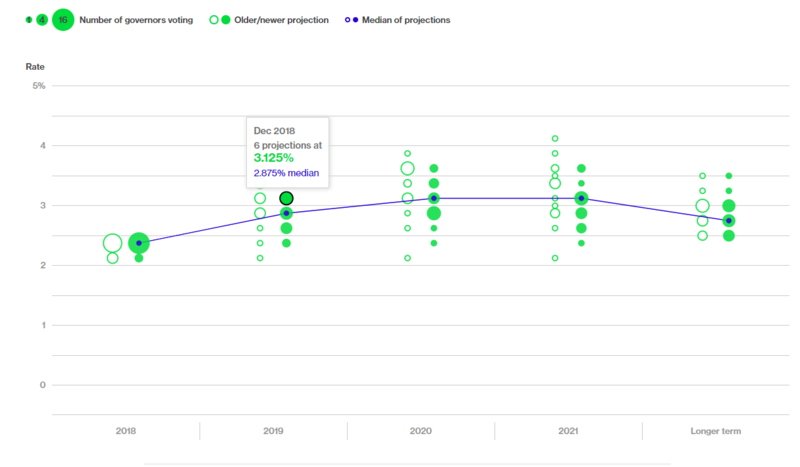 The meeting minutes present an updated version of the dot plot, which is the projection of futures rates in the United States based on economic projections. For an in-depth analysis of the last Fed rate hike and decision, check out the following article. Click Here. The Federal Reserve’s job is to monitor monetary policy in the United States. Every nation has a central bank that monitors its monetary policy and interest rate decision just like the Bank of Japan (BOJ) and the Bank of Canada (BOC). By monitoring current economic conditions, the Federal Reserve makes decisions to tighten or ease monetary policy. Inflation projection is considered heavily when decisions are made. Along with the balance sheet, in recent events there has been a plan put into place to unwind the balance sheet. For a more in depth explanation of the Federal Reserve, click here. Tightening, or a more hawkish stance revolves around raising interest rates (short-term rates). The increase in rates increases the cost of borrowing money which propels investors to shy away from markets. This is usually bearish for risk on assets like the S&P 500. Easing monetary policy is a dovish stance. 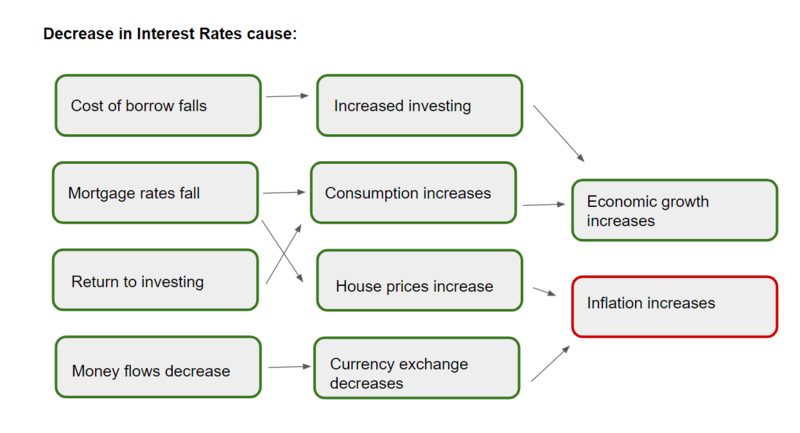 In which the Fed would cut interest rates. The cut rates make risk on investments more attractive because borrowing costs less and helps equities move up as buyers come into the market. This is what ex-Fed chair Ben Bernanke did to recover from the market crash in 2008-09, quantitative easing to pill more money into the economy by dropping rates. There is however a third option you should be aware of as a trader or investor. The Fed can do nothing, neither raise or cut rates. Instead, keep them constant and this is where the Fed statement is the deciding factor. The statement is a huge part of any of the above-mentioned scenarios. In that, the Fed chair addresses future plans and projections. Current Fed Chair Jerome Powell has been on a wild ride since coming into power, ushered in by Trump. Last year, he was dubbed a hawk after raising rates several times throughout the year, four to be exact. In doing that he continued his hawkish stance through the Fed statements, ushering in an expected 3 rate hikes in 2019, along with Fed meetings once a month. Theoretically being able to hike rates any month instead of only in March, June, September or December. The hawkish stance was due to “data dependency”, or as many joke, market dependency. A strong economy would allow rate hikes for future cuts. After the September rate hike and all-time highs markets began to slump. Trump was not happy about this because it affected his image as President. The stock market took a beating into December stretching from the beginning losing stages back in October, post rate hike. An estimated drop of around 20% in the S&P 500 shocked and scared many after the “great” economy was bolstered. In that, more rate hikes were coming, fear was up! At this point, many estimated where the “Powell Put” would be, in which the Fed would come into the market and “save” it. We did see a crazy rebound as markets dipped into that put level and Powell reversed his hawkish stance. Hinting at a more accommodative notion, in which his statements began to encompass a dovish stance. In January and February, he stayed away from the tightening words and focused on the bolstering economy using more dovish language in which rate hike expectations dropped significantly. Although in that time, global economic data slumped, US GDP slumped in expectation and jobs numbers got beat up. The upcoming event in March will hopefully clear the air. There is talk floating around of quantitative easing coming to the markets yet again, even that they have started already. They could take full effect in 2020. Could this be because of weak economic data and potential downturns in the market in the future? The Fed makes projections during the Fed minutes, in which a dot plot is developed. Projections change as data changes throughout the quarterly meetings. Below is the dot plot which represents 4 main indicators. Listed at the top of the graph, as a legend. The hollow dots are past projections from the previous Fed meeting. The green full dots are current projections. The size of the dot also should be taken into consideration, the larger the dot the more governors vote for that certain projection. The last variable that should be taken into consideration is the median of the projections (blue line). Previous September projections are now hollowed out dots, while green and full dots are Decembers projections. Which, I believe, will change drastically after March’s meeting. The projections in September yielded a median of 3.125% while in December they dropped to 2.875% decreasing expected rate hikes in the coming years. More so this time around the median will probably fall further. The size of the expected rates in 2019 concentrated a little more compared to September, and shifted lower. Its important to consider the dot plot as a projection of the Fed’s ideas. 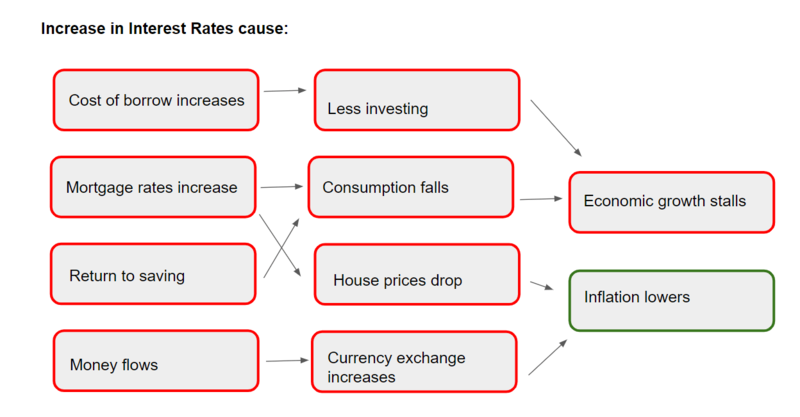 In terms of economic health, impact of raising rates and general monetary policy. Trading the Fed minutes is an extremely profitable opportunity, there are two main ways to trade the event. Both require futures trading. The futures market provides liquidity and security, meaning little slippage during very volatile events such as this one. The new, monthly events are less of a opportunistic event because they do not rely on a rate decision. However the quarterly events hold a lot of opportunity. The two ways to trade the event through futures are Forex futures or equity futures. The main Forex futures to trade are the US dollar and the Euro futures. In terms of equity futures, any of them work. The S&P 500 E-mins, Nasdaq E-minis, Dow E-minis even Russell E-minis. Hawkish news is good for the dollar and moves the Euro lower. There are three alternative outcomes of the rate decision. A hike, a cut or no change. This is said rather simply, monetary policy projections should be considered too. For an in-depth explanation of trading the Fed meeting minutes and the rate decision click here. Examples included. The first is rate hike, trades would expect equities to drop on this news at first. As mentioned above, cost of borrowing and attraction to risk on assets falls. However, if the future outlook is more dovish, markets could see a rebound after the rate hike decision. For example, if Fed Chair Powell hikes, then he says, the economic outlook is wonderful and the Fed is looking for more accommodation. A spike post rate hike would be expected. Alternatively, if the Fed announces there will be future rate hikes to get to the calculated “neutral” rate. Which was the case in 2018, downside in the market will prevail even more. As we saw during the December rate hike. Lastly, if a neutral statement comes out, a mixed result is expected. If the Fed decides to cut rates, borrowing money becomes more attractive so equities would rise short term. If the future outlook, described by Powell is dovish and the Fed leans towards easing monetary policy, equities will further increase. However, if there is talk of future rate hikes, the initial pop could be slowed. In this scenario, all the weight gets put onto the Fed Chair’s statement and Q&A portion of the meeting minutes. The more hawkish projections seem, the lower equities will move. On the other hand the more dovish projections, bulls will take over in equities.